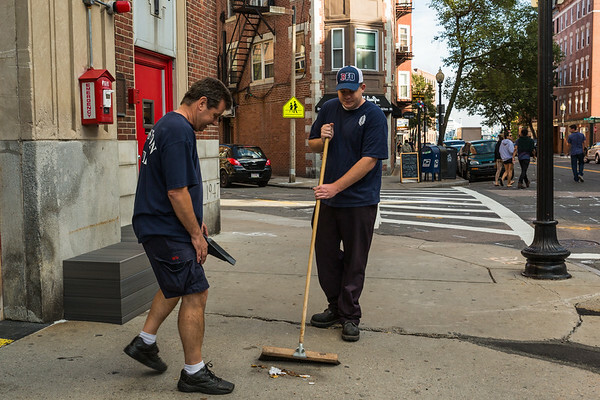 Operation Clean-up brought out nearly 100 folks from the North End community on Saturday morning to make the neighborhood shine. 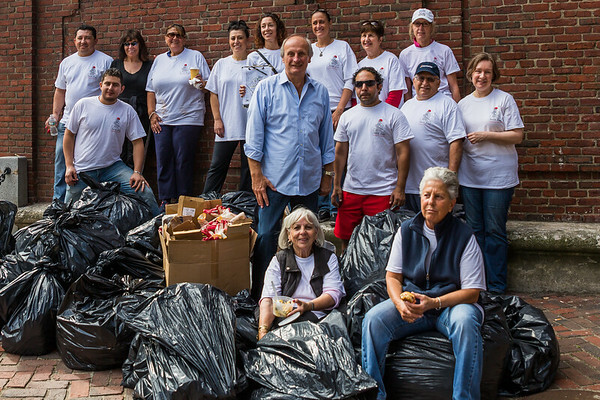 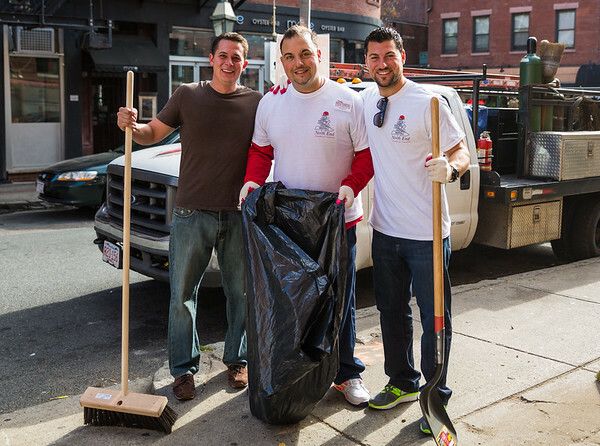 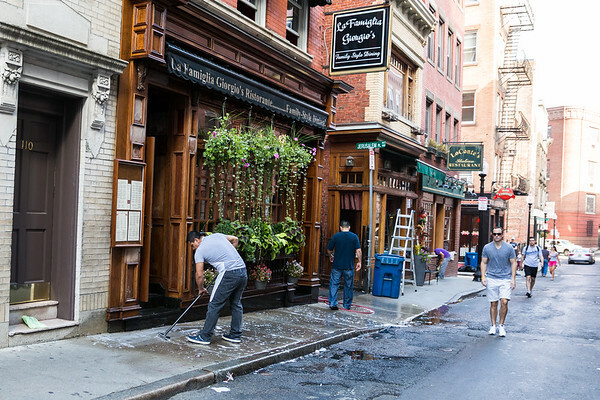 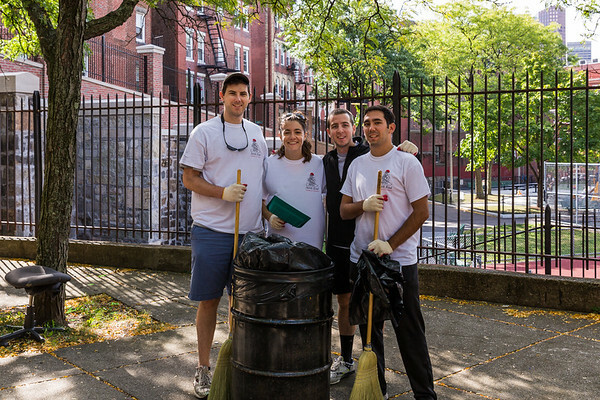 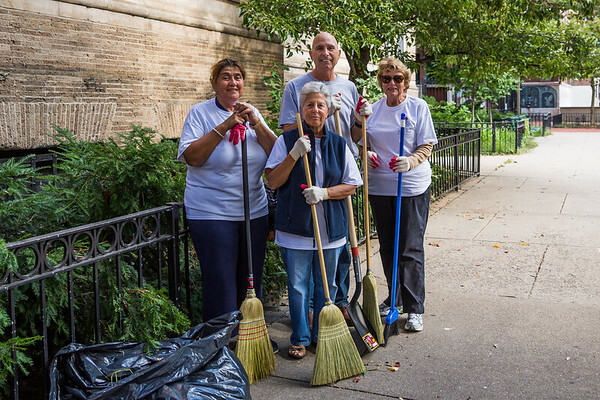 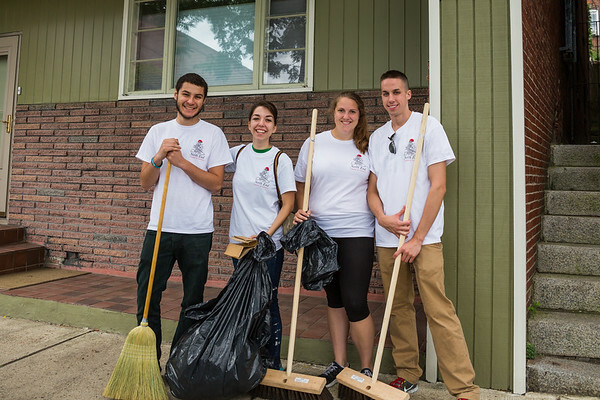 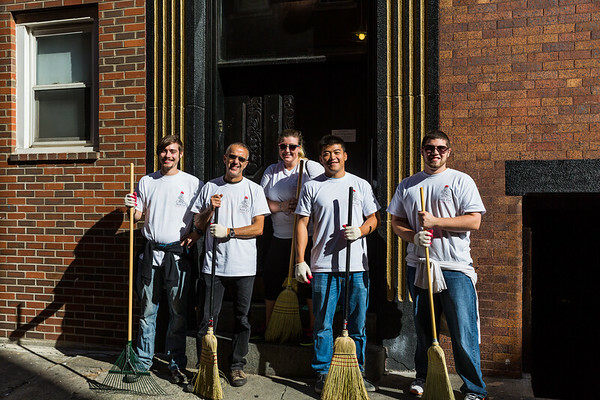 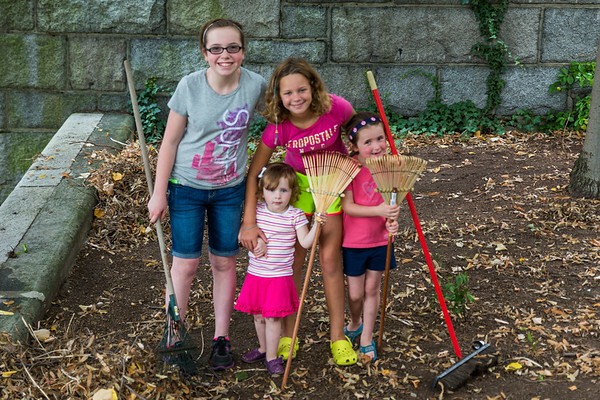 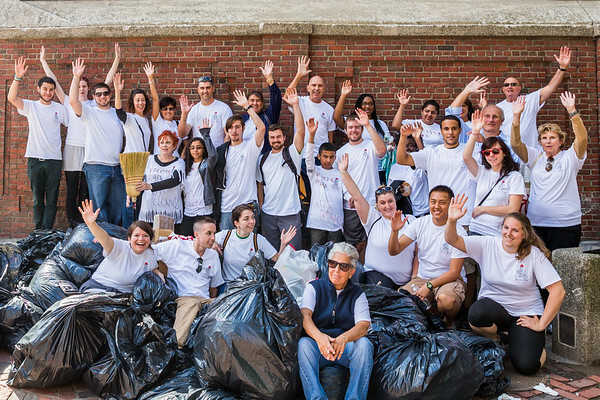 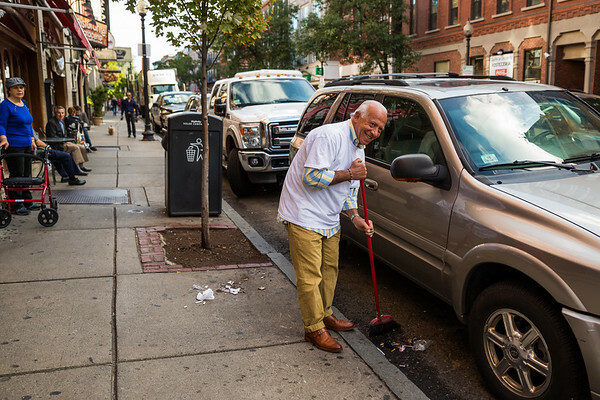 Sponsored by the North End Chamber of Commerce (NECC), the cleanup event was themed, "This is My North End" with participation from dozens of businesses, residents and students from Suffolk University. 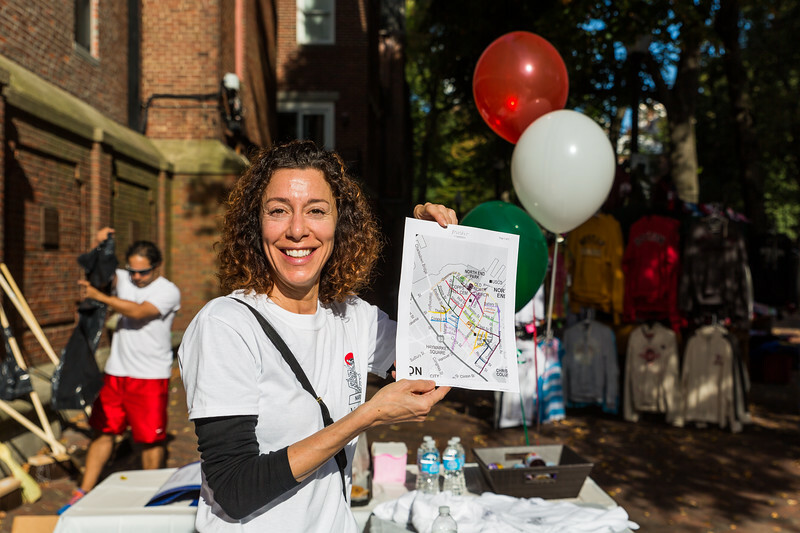 Lead organizer, Toni Gilardi, created a clean-up zone map covering the streets of the North End handing out the assignments to all the volunteers. 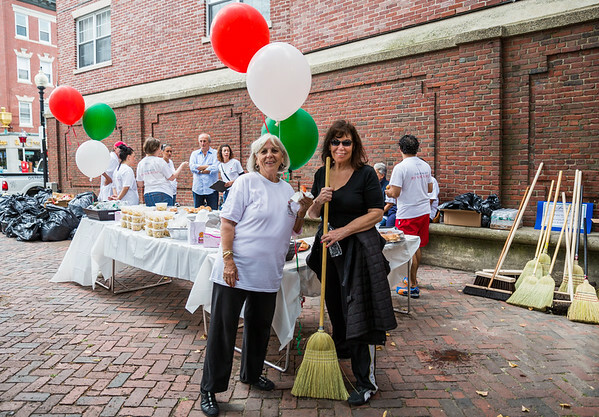 In addition to "people power," contributions also included pizza and drinks from Artu, pasta salad from Prezza, muffins and juices from the Fairmont Battery Wharf Hotel, sandwiches from Bricco and DePasquale Ventures, balloons from Elite Boston Landmark Realty and cookies from State Rep. Aaron Michelwitz and State Sen. Anthony Petruccelli. 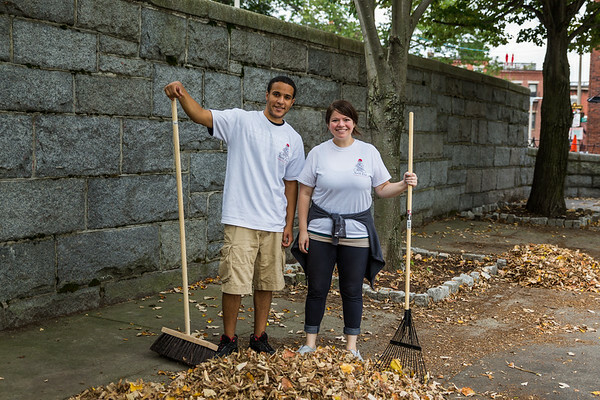 Helping coordinate the logistics were Nicole Leo from the Mayor's Office, the Department of Public Works and the North End Beautification Committee. 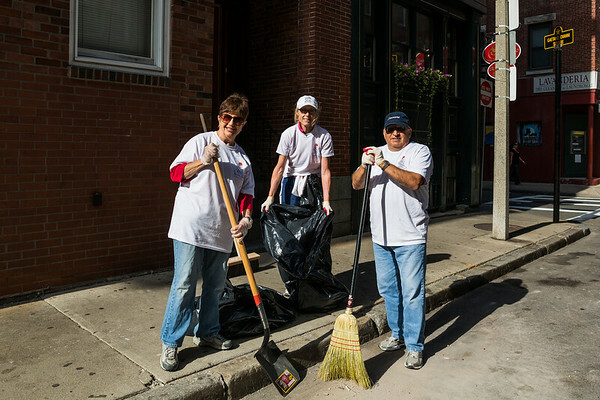 The City of Boston brought the brooms, shovels, bags and gloves with trucks to haul away all the trash at the end of the cleanup.